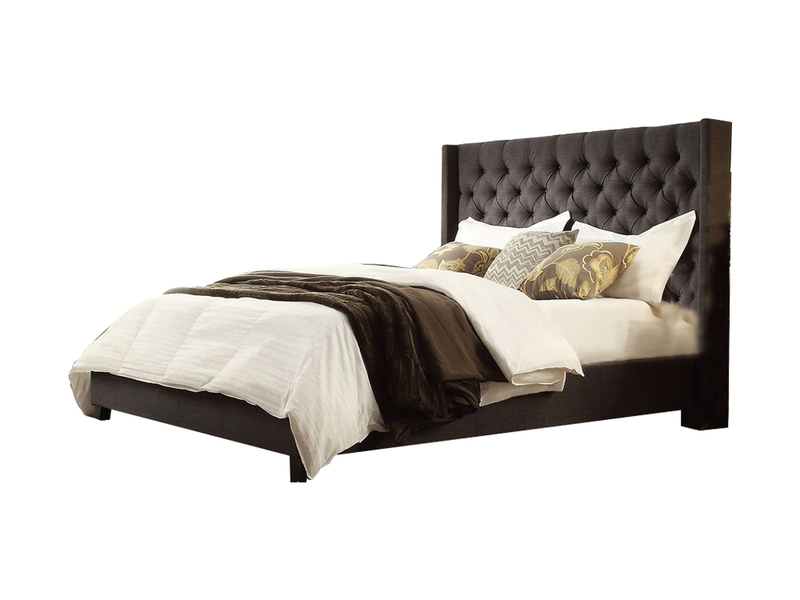 The Ana Upholstered Bed features a tall upholstered brown headboard with tufted detail. This platform bed which comes in 3 sizes (Full, Queen, King). Wooden slats replaces the need for a box spring. Rent this modern and luxurious bed as a staple for a beautiful bedroom. Add an Inhabitr memory foam mattress and rent a set of nightstands for a perfect ensemble.